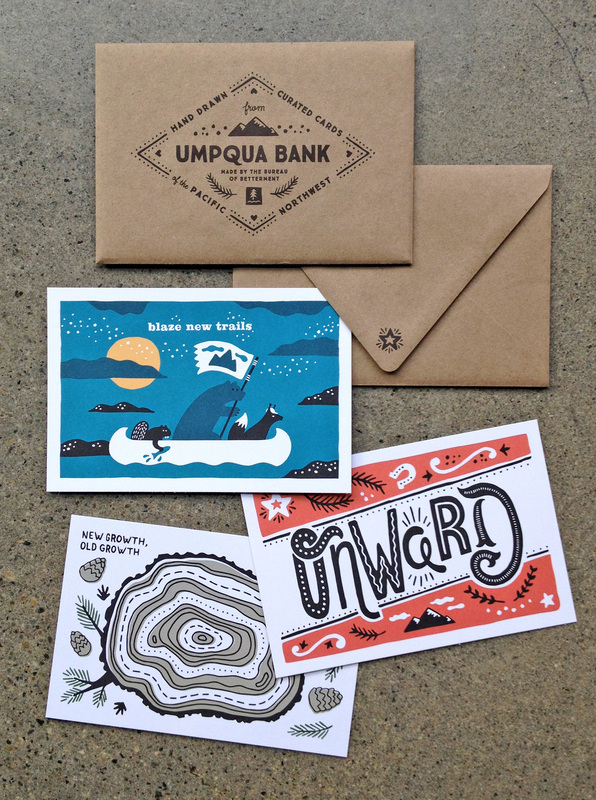 Here is the first half of six postcard illustrations I created for Umpqua Bank. 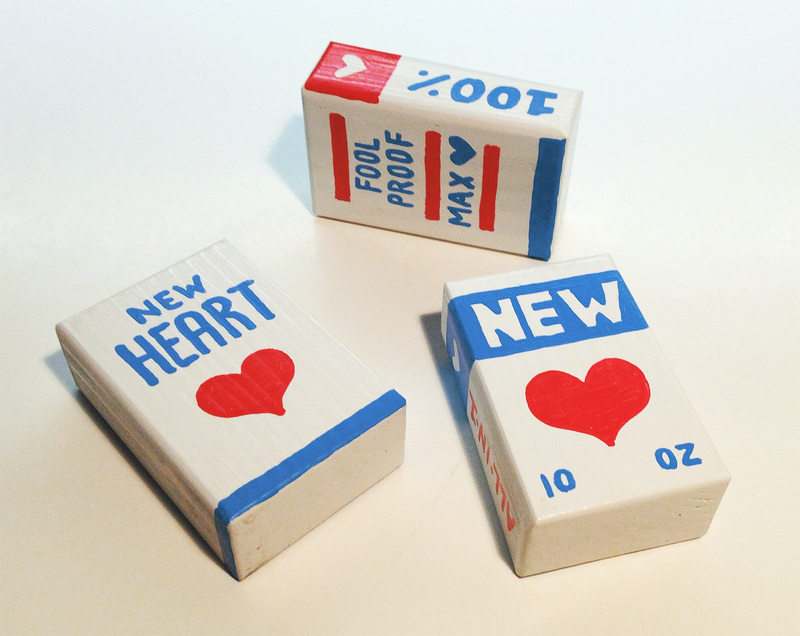 A total of six cards were designed so smaller sets could be mixed and matched and handed out at events including the Portland Business Journal Luncheon and the Seattle Design Series. 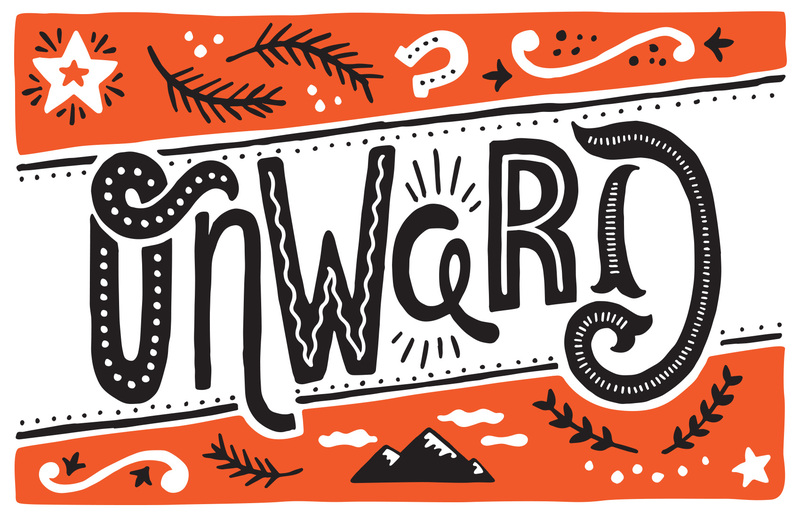 A sponsor-focused envelope was paired with them to emphasize that the cards were created specifically for the young and forward moving audiences they would be distributed in. 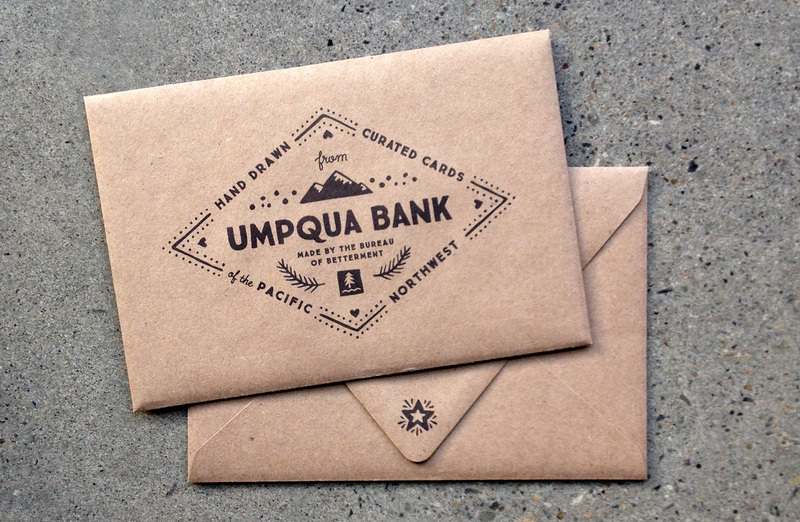 Here is the first in a series of postcard illustrations I created for Umpqua Bank. 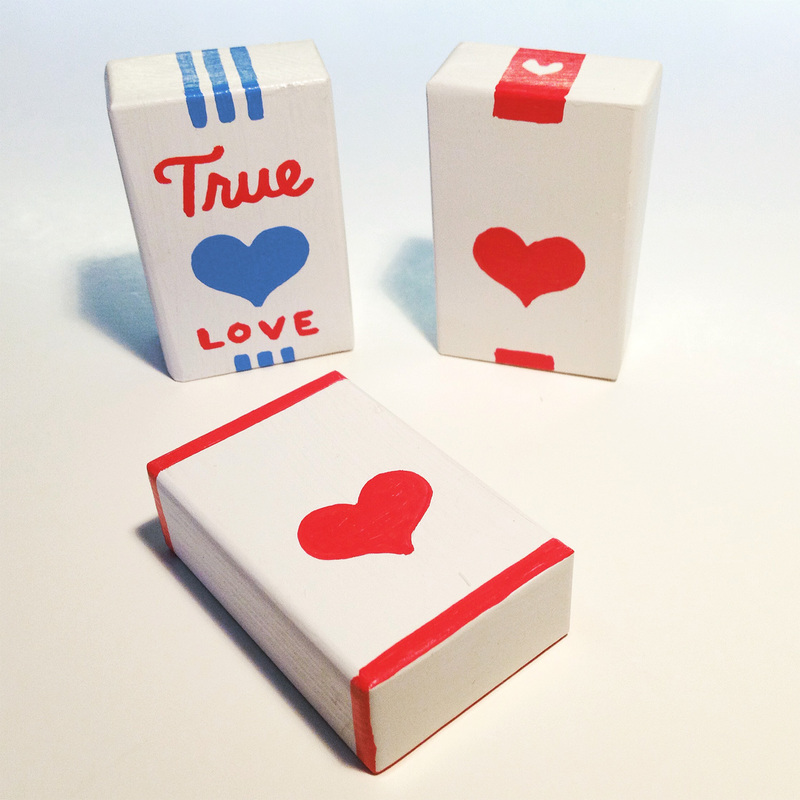 A set of 6 cards were created so smaller sets could be mixed and matched, to be handed out at events including the Portland Business Journal Luncheon and the Seattle Design Series. 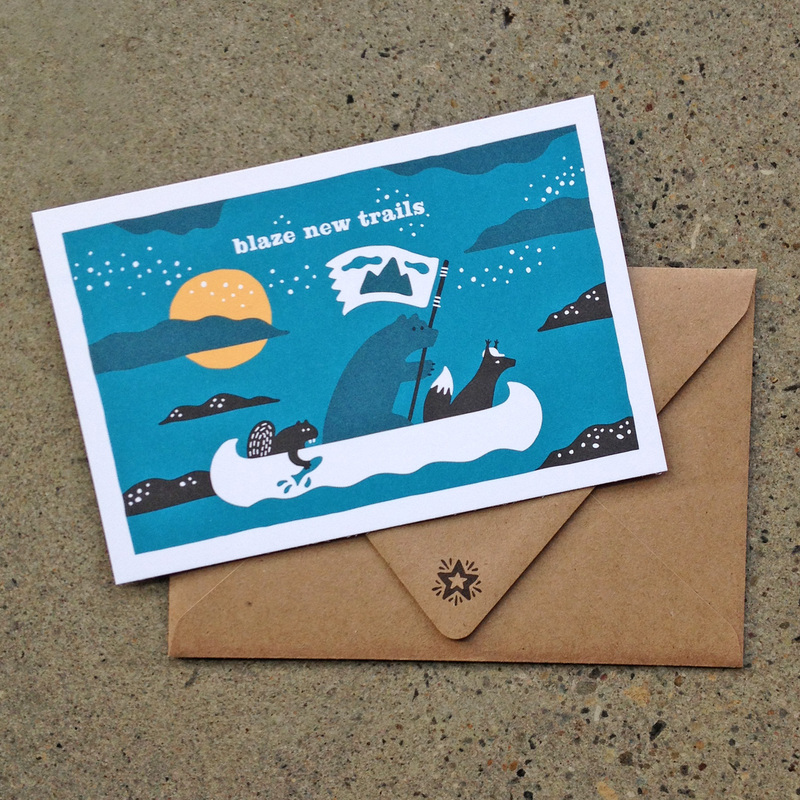 A sponsor-focused envelope was paired with them to emphasize that the cards were created specifically for the young and forward moving audiences they would be distributed in. 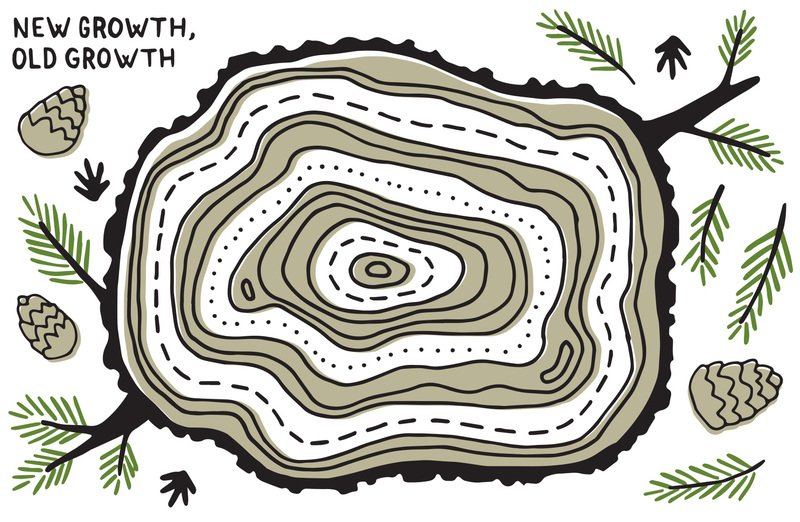 The creative brief was open, with the theme of “Pacific Northwest” guiding each card’s content – coming up: Wonderland, Old Growth/New Growth, Cascadia, Onward, and some foliage.